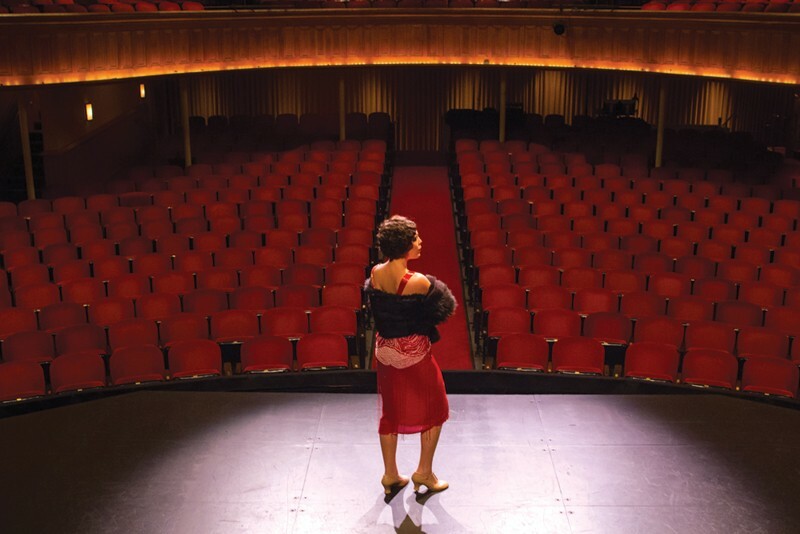 'Funny Girl' runs Friday–Sunday May 10–19 at the Napa Opera House. 1030 Main St., Napa. Friday–Saturday at 8pm; 2pm matinees on Sundays. $30–$35. 707.226.7372. A PERSON WHO NEEDS PEOPLE Taylor Bartolucci hopes for full houses at 'Funny Girl' on the Opera House stage. BottleRock's Bob Vogt says he knows how it feels to be affected by a bigger, competing show. 'This is a role I've dreamed of playing my entire life," says actress Taylor Bartolucci of Napa, describing her lifelong goal of playing Fanny Brice in the 1964 musical Funny Girl. "When I was a little girl," reveals Bartolucci, "I'd walk around my house belting like Barbara Streisand, singing 'Don't Rain on My Parade.'" Well, the good news is, Bartolucci's big day is finally here. This weekend, Bartolucci—cofounder, with Barry Martin, of Napa's Lucky Penny Theater Company—takes the stage in a two-week run of Funny Girl at the Napa Opera House. It's Lucky Penny's most ambitious and costly production since its inception in 2009, and its most high-profile effort since becoming a nonprofit in 2011. "It's a little scary to me," Bartolucci says, "because the show is very different from the Streisand movie, which everyone remembers so well. But we've worked very hard, and I think we've done the show justice." Which brings us to the bad news: there has been a bit of rain in Napa to threaten Lucky Penny's parade. The troubles began in January, when the BottleRock festival announced its five-day event, three days of which overlap with the opening of Funny Girl. According to Martin, show director, there was great concern that Funny Girl—with lavish sets, large cast, lush period costumes and overall costs in the area of $55,000—could be adversely affected by the simultaneous draw of BottleRock. And in recent weeks, allegations arose that Martin might have used his day job as Napa's community outreach coordinator to secure improper financial support from BottleRock's co-producer Bob Vogt. The brouhaha was reported in the Napa Valley Register, which described a purchase of a block of Funny Girl tickets by Vogt. With Martin serving on the city staff overseeing the potential impact on the residents of Napa during BottleRock, the appearance of a possible conflict of interest was called to attention by a number of local business owners. No evidence has come up that Martin offered BottleRock any sort of quid pro quo in exchange for the ticket purchase, yet the resulting kerfuffle has been awkward for Martin at an already sensitive time before opening weekend. "I immediately realized this was going to look odd to people, and I was right," Martin says, adding that he hadn't even known about the ticket purchase until reading in the paper that BottleRock was offering some inconvenienced residents close to the festival a choice between free BottleRock passes or tickets to Funny Girl. Vogt, who, as a partner in the Uptown Theatre in Napa, says he knows how it feels when a larger event threatens to adversely affect attendance, vehemently denies any conflict of interest. "It's a nonissue," he says. "It was always our intention to offer our neighbors nearby here free tickets to Thursday night, so they could get a feeling for the festival and maybe feel better about it," Vogt says. "And right before that, we thought, 'Some people don't like rock and roll, some of these people might be a little bit older, and they might really like what the Opera House is doing.' So at the last minute, it came to mind that maybe it'd be nice to offer them a choice. That's all there is to it. Sometimes a goodwill gesture is just that." Both Martin and Vogt have stated that the purchase of 100 pairs of tickets from the Opera House box office—originally reported as worth $10,000, but estimated by Martin at just under $5,500—was made after Martin approached Vogt to ask for suggestions of local BottleRock sponsors who might be willing to underwrite part of the costs of Funny Girl, as many local businesses had already done. "BottleRock's permit process, which was being handled by [Bob Vogt's] staff, was essentially complete, and I don't sign off on any of that anyway. My role is merely coordinating different departments and making sure information moves around properly. "But it looked bad," Martin continues. "I regret that, but there really was no deal-making taking place, and even if I were the kind of person who'd do that, I'm not the guy who could offer any kind of deal. It's just not within my power." Martin is cautiously optimistic that the public controversy will remain separate from the work of his cast and crew on Funny Girl, which has been a labor of love for everyone involved. "Taylor is just so incredibly good in this," he says. "I hope the BottleRock issue doesn't overshadow that. She has a tremendous work ethic, and she brings such an infectious commitment to the show."